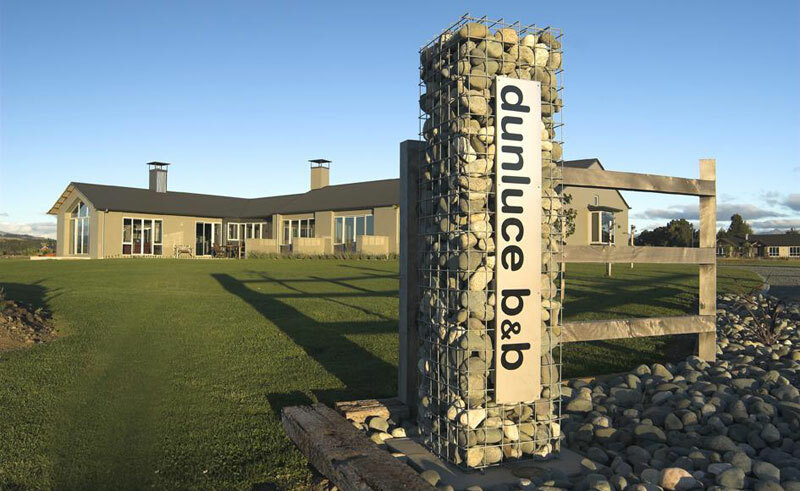 A contemporary home in 1.5 acres of landscaped gardens of New Zealand’s remarkable local flora, the 4 rooms of Dunluce B&B are imbued with a comfort and warmth only found in the countryside. Designed to maximise views of the sparkling lakes and towering mountains of the renowned Fiordland National Park, each room has private balconies that overlook this remarkable area. Guests here are treated to home baking, marvellous breakfasts and a glass of New Zealand wine, all to make visitors here feel completely at home and the owners are happy to help guests arrange any of a number of activities in the area. The cosy lounge comes complete with a classic fireplace along with books, games and DVDs which can all be enjoyed here. The rooms are all en suites with under-floor heating, flat-screen TVs, luxurious goose-down mattress toppers, hairdryers and free wifi throughout the building.